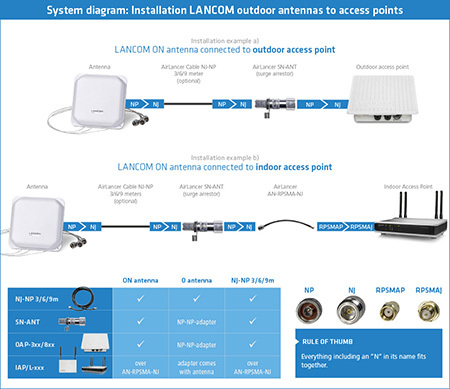 The adapter cable AirLancer AN-RPSMA-NJ gives you the flexibility to use LANCOM outdoor WLAN antennas (ON) in combination with indoor access points. 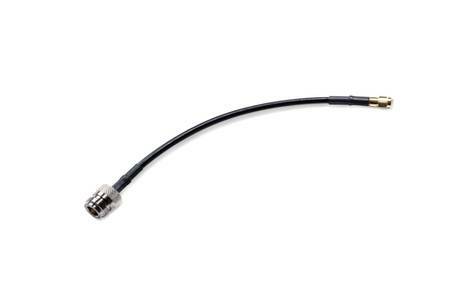 It connects the antenna to the indoor access point, either directly or via an extension cable, optionally with an additional AirLancer SN-ANT lightning protection adapter. One AirLancer AN-RPSMA-NJ is required for each connected antenna.